Bobby Pickett’s song “The Monster Mash,” was first released in August 1962 as a 45 (that was a tiny record just larger than a CD that held one song on each side—a “single”—for those of you younger than … me). It was written by Bobby Pickett and Leonard L. Capizzi and although it’s a silly novelty song, it has endured as deeply as any of the rock and roll classics that appeared at the same time. Everyone knows “The Monster Mash”! If my dead grandma popped out of the ground and started to sing, there’s no question what tune would emerge from her desiccated lips. So, since Halloween is upon us, here’s a trio of videos in the spirit of the season. 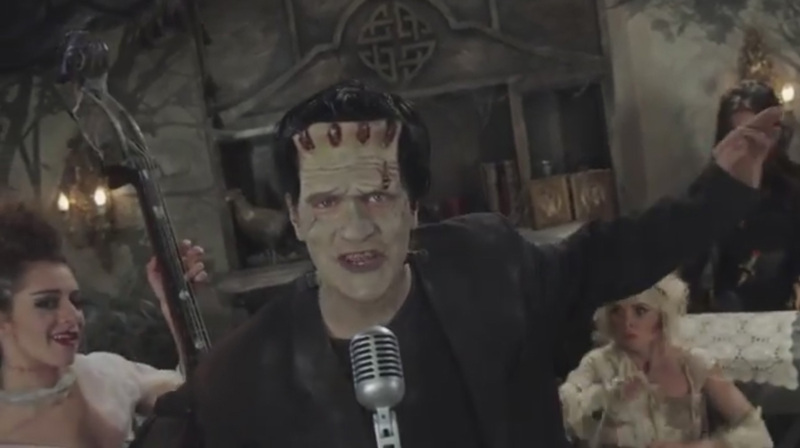 First up is Bobby Picket singing his original tune at the time of its release; second is one of the many mashups of clips from monster movies set to the tune (this one relies heavily on the fabulous flick Carnival of Souls—an excellent choice to watch on the 31st); and finally there’s a genuinely creative parody (a parody of a parody!) from The Key of Awesome that brings the song up to date and tweaks the simple horrors of earlier decades. Enjoy them … while you can.